Clean Line Energy wind transmission lines: Ambitious wind infrastructure is coming, and that’s a great thing. How do you get wind power captured in Oklahoma to consumers in Tennessee? By evoking the industrial revolution. Just as oil needs pipelines and coal needs railroads, wind power needs transmission lines to reach cities. One of the raps on big renewable energy projects, such as solar plants and wind farms, is that they rely on federal subsidies and tax credits to get off the ground. That’s obvious. Here’s something less obvious: Taxpayers may have subsidized the boom in emissions-free energy, but that’s triggered a whole lot of unsubsidized private investment in turn. Someone has to pay to build the infrastructure that conveys the power from the empty places where it’s produced to the populated places where it’s consumed. This is particularly evident in wind energy. Developers needs the federal production tax credit—2.3 cents for every kilowatt-hour produced by a wind farm for 10 years after its construction—to justify the nine-figure investments to plant clusters of turbines in the plains. But just as oil needs pipelines and coal needs railroads, wind power needs transmission lines to reach cities. A report by the Edison Electric Institute, a trade group for investor-owned utilities, highlighting some $47.9 billion worth of transmission lines in the works through 2025, found that about $22.1 billion in funds will be spent on transmission projects aimed at integrating renewable energy into the grid. Skelly has some experience tilting at windmills. He was chief development officer of Horizon Wind Energy, a Texas-based development firm bought by Goldman Sachs in 2005. (In 2008, in another quixotic quest, he ran for Congress in Texas’ deep-red 7th district as a Democrat and lost.) The wind industry boomed in Texas in part because the state, which has its own grid, pushed through a plan that enabled the construction of massive wind farms in the western and northern parts of the state, encouraging about $6 billion in new transmission lines to bring the power to population centers. Outside of Texas, however, the electricity grid is highly balkanized. Utilities in Oklahoma aren’t particularly interested in figuring out how to convey wind power from the Oklahoma panhandle (where it could be produced in massive quantities) to Atlanta (where it would be consumed in massive quantities). And the federal government has long since gotten out of the business of backing big interstate power highways. (The last major electricity interstate highway it supported was the Pacific Intertie, completed in 1970.) That means a large chunk of America’s wind resources remains stranded. Skelly is confident that Clean Line can raise the $10 billion needed to build its five proposed lines and that construction could start as early as 2017 if approvals start to come through. Clean Line’s ambitions highlight the complexities of the arguments surrounding energy subsidies. Yes, Clean Line’s customers—developers of wind plants—rely on subsidies. And those subsidies cost real money. According to the Energy Information Administration wind accounted for 4.4 percent of U.S. electricity production in 2014, or about 180 billion kilowatt-hours. Assuming every one of those kilowatt-hours is eligible for the 2.3 cents per kilowatt-hour (and they’re not—wind farms more than 10 years old can’t get the credit, for example), the production tax credit would amount to a maximum of about $4.2 billion year. The American Wind Energy Association argues that every form of energy production is subsidized to a degree and that the U.S. is getting a lot in return for whatever subsidy wind receives. The burgeoning wind industry has accounted for some $100 billion of investment since 2008 (a period in which the U.S. suffered a big shortfall in investment), created tens of thousands of permanent jobs, and stimulated the creation of a domestic manufacturing sector. It also funnels $195 million a year in lease payments to farmers, ranchers, and other landowners. 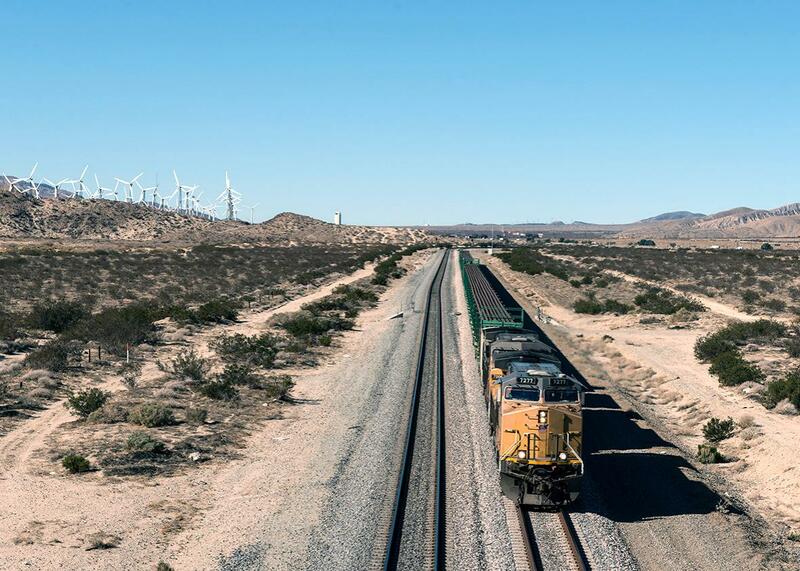 But as Clean Line’s ambitious plans show, the wind boom has also inspired people and businesses to do something they didn’t do much before 2008—think big and funnel private capital into infrastructure projects. And when private firms erect new platforms that encourage other private companies to invest and build, that’s a form of economic stimulus worthy of a few lofty railroad metaphors.